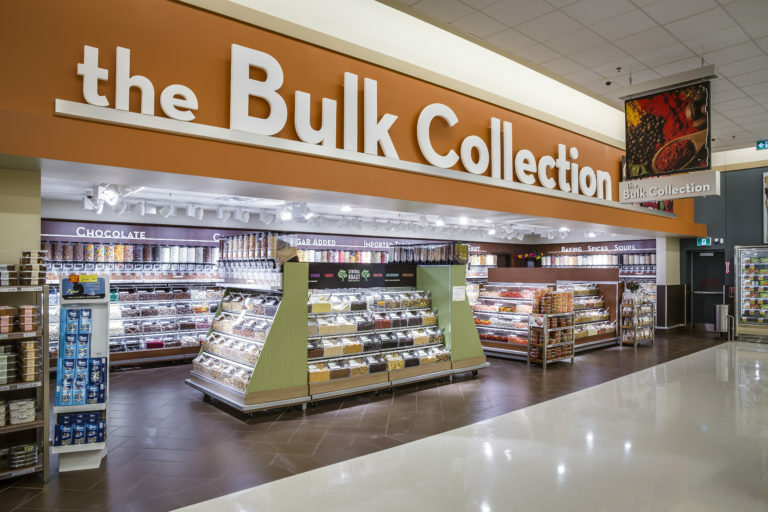 Founded by John Fortino, and first opened in Hamilton, Ontario, in 1961, the business was a growing success, with subsequent stores opened in Vaughan, Burlington and Brampton. 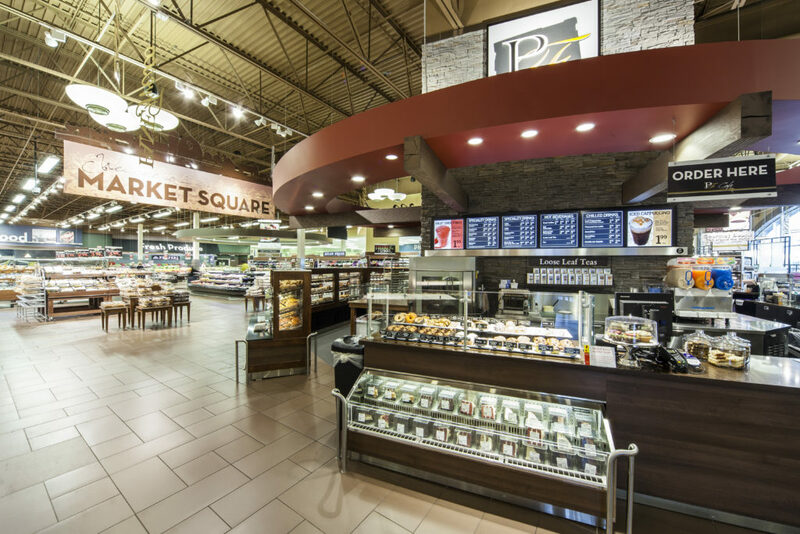 Fortinos has since become a part of Loblaw Companies Limited, and Turner Fleischer has been involved in their store architecture, roll-out and customer experience. 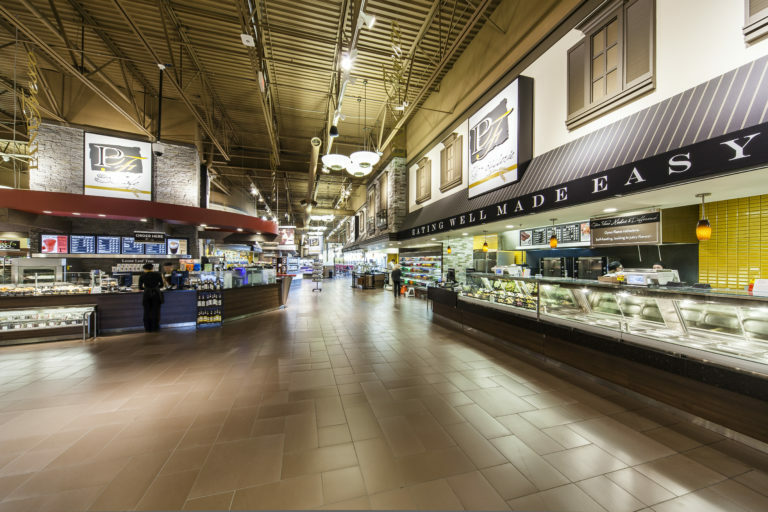 With 23 locations across Ontario, Canada, the Fortinos supermarket chain incorporates old and new world design features. Turner Fleischer’s work, on new and existing sites, faces the challenge of maintaining existing brand identity in a varying array of spaces and site contexts. Materials rich in both colour and texture were selected to achieve old-world charm and modern edge. The Panefresco concept, a recent addition to the Fortinos brand, was given a unique presence in the stores, highlighting the bakery and other feature products. Visual interest was created with the streetscape elevations and in-store signage. 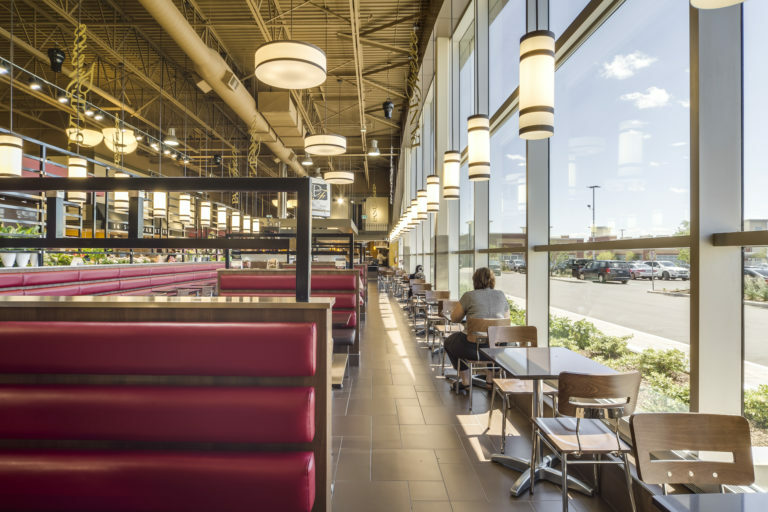 Other areas of visual appeal include the café concept, bakery ovens and custom fixtures. Seating was deliberately designed in an enclosed area to have a restaurant presence. The fresh hall in the stores was given a market feel with awnings, appealing tile and wall colours. 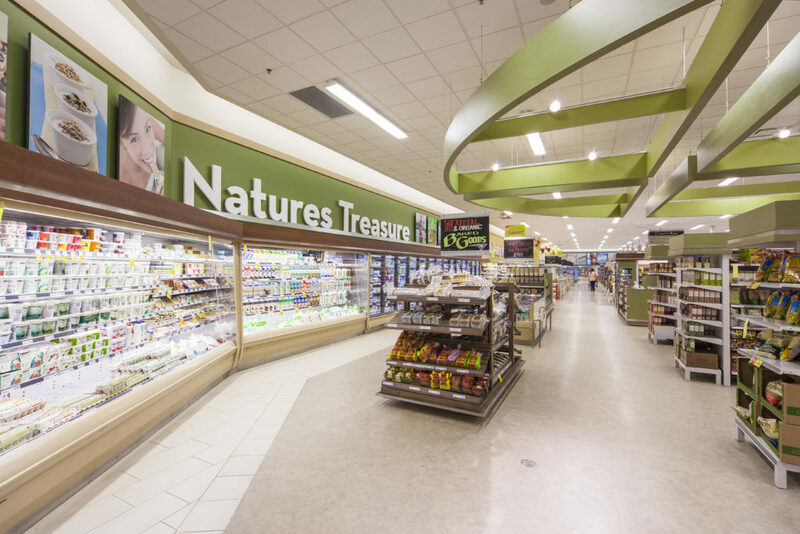 The Natural Value section and Pharmacy complement the Fresh Halls with interesting shapes, details, colours and textures.